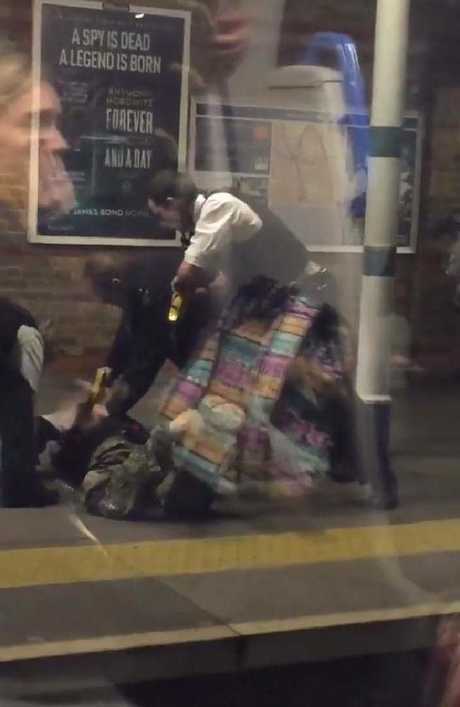 London commuters have witnessed the terrifying moment a man armed with a machete was tasered and arrested on the train platform of a busy city station. 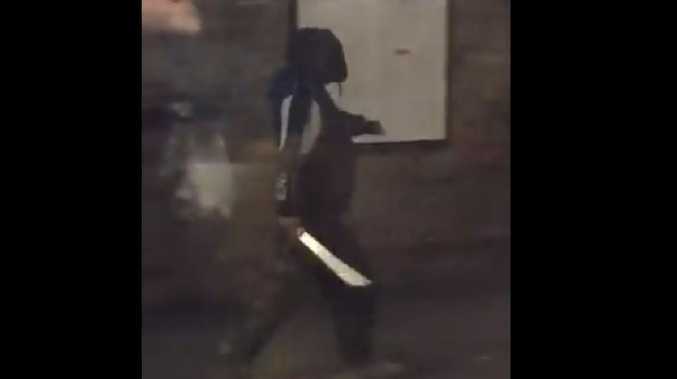 Dozens of passengers at Tulse Hill station witnessed the man walking down the platform with a machete in hand before he threw his hands in the air and was hit with a police taser. 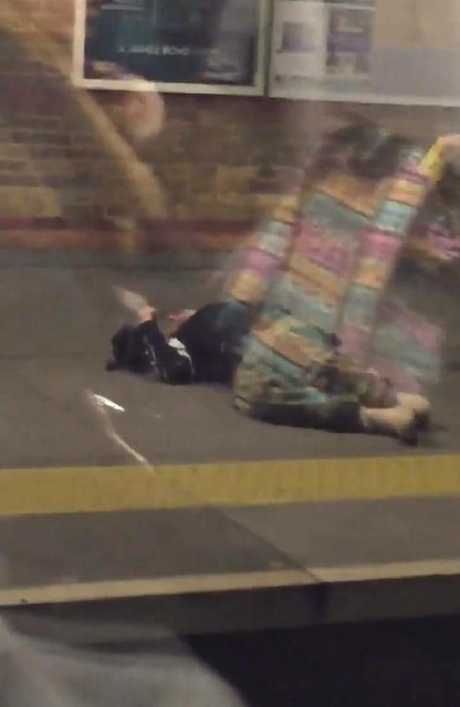 The man fell flat on the platform, dropping the machete before transport police swooped in, flipping him onto his stomach and handcuffing him. At least six officers were involved in the man's arrest, one who appeared to locate a second knife in the man's clothes. Train passengers spoke to each other while police made the arrest with one commuter exclaiming, "Oh my god, he's got a knife," as she saw him walk down the platform. The terror on commuters' faces reflected on the train window was later revealed in footage shot by Twitter user Xara Pandora. 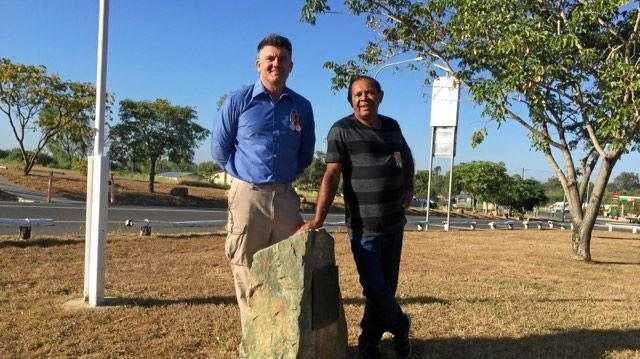 "Look at the size of that, that's huge," one commuter was heard on camera saying. One Twitter user, who claimed to be in the station when the man was wandering around, said dozens of Londoners were forced to flee. 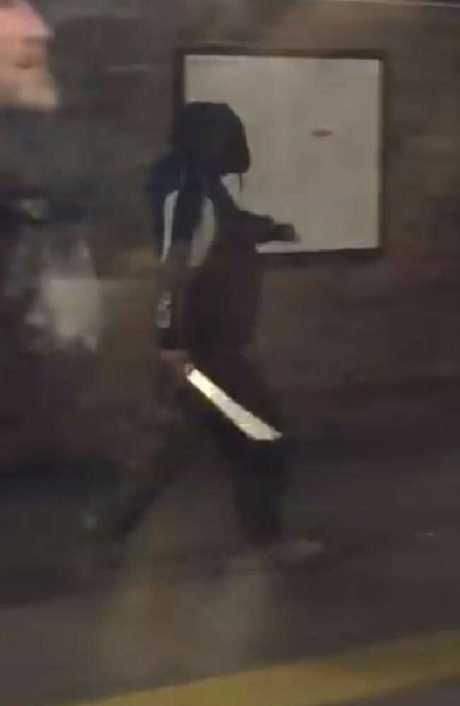 "Terrifying incident at Tulse Hill station where several of us had to run from a man wielding a machete," he wrote. "He has now been subdued by police - very grateful for them being there quickly and acting bravely." British Transport Police later confirmed a man had been arrested on suspicion of attempted murder after officers were called to the London tube station. "Shortly after 6.30pm today (14/01) officers from British Transport Police and the Metropolitan Police were called to Tulse Hill station after reports of a man in possession of a knife," a British Transport Police spokesman said. "Police officers were quickly on scene and detained a man on the platforms at the station. During the detainment a taser device was discharged. "The man was arrested on suspicion of attempted murder and possession of an offensive weapon. He is being taken to custody. There are no reported injuries. "This incident is not currently believed to be terror related."